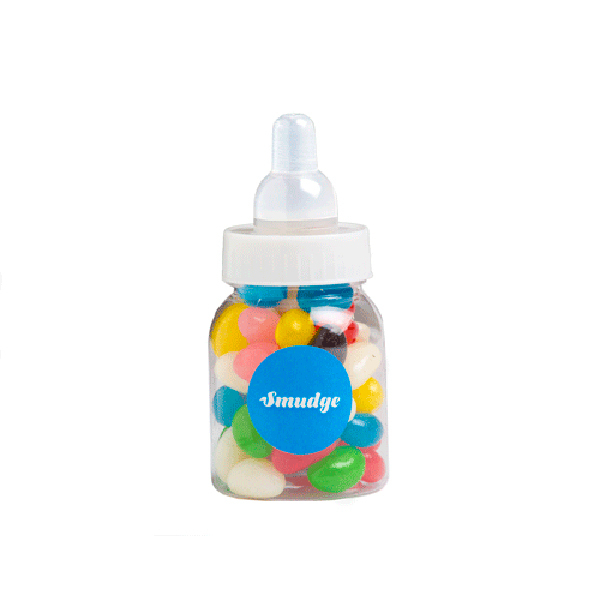 Baby Bottle filled with Jelly Beans 50g. Can be with mixed or corporate coloured jelly beans. Jelly Bean Colours: Any mix of Black, White, Blue, Green, Red, Yellow, Orange, Purple and Pink. Black-Blackcurrent, White-Tutti Frutti, Blue-Blueberry, Green-Apple, Red-Strawberry, Yellow-Pineapple, Orange-Orange, Purple-Grape, Pink-Watermelon.